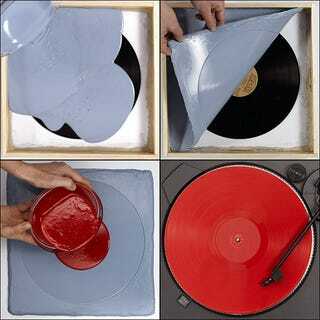 Just because vinyl records are analog, it doesn't mean you can't pirate them. All you need is a wood box, glass, window cement, silicone mixture, liquid plastic and a drill press. Hey, I didn't say it was going to be easy.